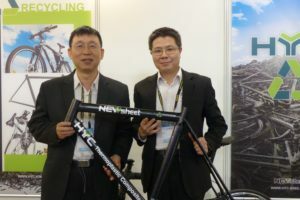 PARIS, France – A recent survey on the global cycling market by the Paris based NPD Group, a provider of consumer and retail market research information for a wide range of industries, revealed the € 35.7 billion size (USD 47.4 billion) of the 2014 worldwide bike market at retail level, after VAT. 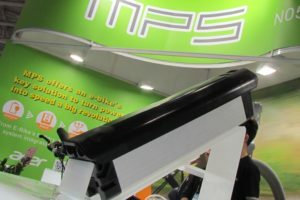 The scope of the NPD market research covers bicycles of all categories, including e-bikes as well as kid bikes. Also P&A sales, footwear and cycling apparel is included in the close to € 36 billion value at retail after VAT. Exchange rate USD/€ for the study is 1.33 USD for 1 euro. The survey estimates that, around the world, 133.1 million bicycles (including e-bikes) were sold last year. The total value of that sale at retail level stood, according to the survey, at € 25.4 billion. 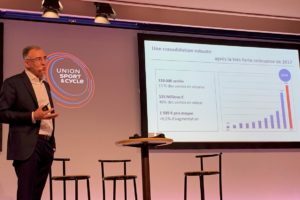 Average sales price per bike was calculated at € 191. Sales of P&A as well as repair and rental services are valued at € 10.3 billion. Apparel and footwear sales value stood at € 2.2 billion. according to NPD. According to the NPD study the bike market in 2014 increased by +1.8% in value compared to 2013 which was estimated at a total value of € 35.1 billion. Europe (including Russia) is not only setting the trends but is also the world’s biggest market. In 2014 all cycling sales in Europe is estimated to account for a total value of € 12.8 billion which is 36% of the estimated value of the global cycling market. 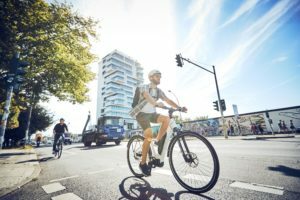 The NPD data further notes that bikes, as well as the related parts and accessories including apparel and footwear, holds a 12.5% share of the global sports market. With that the global population devoted 12.5% of all expenses on sport towards bikes and the related parts and accessories in 2014. Including the sale of bicycles for day-to-day transportation this makes cycling the biggest single category in the worldwide sport market. The sport market was valued at € 285 billion by the NPD Group in 2014. Next to a breakdown in bikes and P&A sales per country, NPD’s global cycling market survey quantifies the bike market at retail level in 13 major segments. 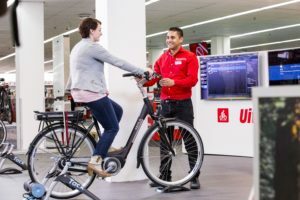 This includes sales by bike categories (electric bikes, city/mobility bikes excluding e-bikes, mountain bikes/all terrain bikes and kids bikes) as well as by repair services, rental services, components, bags/racks/ Carriers, baby seats, locks, pumps, lights, cycling electronics and helmets.